Easy to install yet luxurious round and spiral shower enclosures. Manufactured from solid foam ensures a high level of dimensional accuracy with complete thermal and structural integrity. They are prefabricated from solid polystyrene panels that are secured together with a plywood fillet system. The high density expanded polystyrene core is coated with a reinforced cement coating and is ready to be finished with your choice of tiling or decorative render. 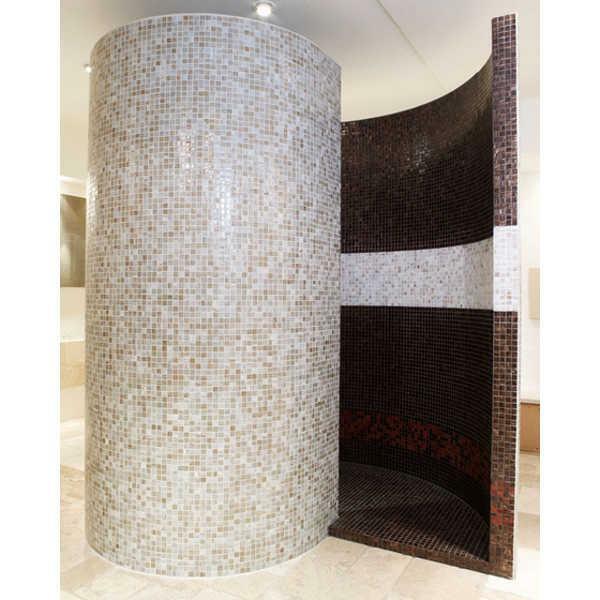 The standard range comprises of circular and spiral shower enclosures with compatible shower trays and drains but bespoke structures can be produced to your specification. The Levante range comes complete with thermostatic shower valve and shower head and there is a range of hardware to select from. The hardware is plumbed into the integral services cavity with the pressure tested installation only requiring push fit connection to your hot and cold water supply.